We all know his name, we all know what he looks like and we all know the famous bow-ties. I'm talking about the guy that entertained big and small, I'm talking about, Bill Nye the Science Guy. 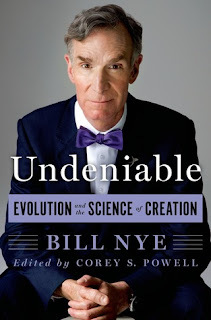 In this book Mr. Nye covers some very controversial topics. While this book may not appeal to everyone, I found it a very enjoyable read. It's clear and informative in a manner that gets the reader hooked. Plus the puns and jokes are so funny.